With plenty of exciting releases on the horizon, it looks like 2016 could be a great year for video game players. And no doubt the Doom reboot by developer id Software is one of the most eagerly awaited games of 2016, as it brings back one of the best-known action game franchises in video game history. Although the big question here is not whether you should preorder Doom, but whether preordering any game is a good idea at all. After all, sometimes video game companies fail to deliver, and one does not want to end up with a turkey on the game’s release date. The original Doom was a blast to play back in the day, but looks rather dated these days. Games like Ubisoft’s Assassin’s Creed Unity, for instance, were hyped to death but had a poor launch, with many players being unable to enjoy the game on launch day due to a slew of glitches. And other heavyweights like Batman: Arkham Knight also gave gamers headaches, as the PC version was released in such poor shape that the game ended up being unplayable for many people. And going back to id Software’s Doom, even if it is unlikely that the game’s launch will be problematic given that a quality-conscious publisher like Bethesda is behind the game, it remains to be seen whether id Software can deliver another great game. After all, this is not the wold-conquering outfit of the 90’s, as star developers John Romero and industry legend John Carmack have long since left the company. 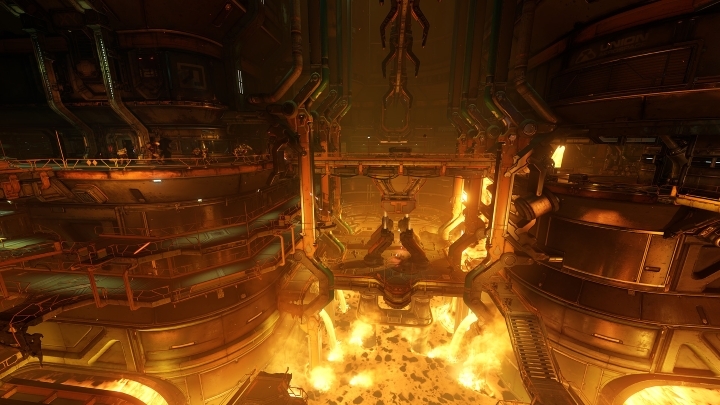 Also, id Software’s last major Doom game (which was Doom 3 back in 2004) promised to be the definitive first-person shooter but did not live up to expectations, and neither did id’s most recent game Rage in 2011. So perhaps it would be better to wait until the game’s release date in order to see whether this new Doom entry manages to live up to the classics of the 90’s. But those who take the plunge and preorder now will get the original games as a bonus (on Xbox One), and hopefully also be rewarded with a great game when this Doom reboot hits the shelves later this year.